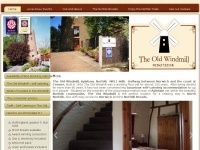 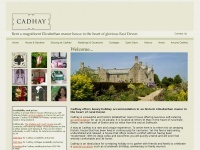 Norfolk Windmill holiday, self catering for up to 6. 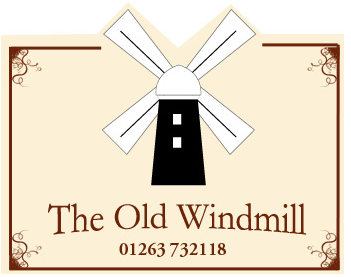 Centrally placed for the Norfolk Broads, lovely beaches, the fine city of Norwich and great walking and cycling. 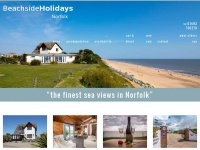 Beachside-holidays.co.uk - Holi­days in Great Yar­mouth Norfolk self cate­ring ..
Cadhay.org.uk - Cad­hay - self-cate­ring holi­day accom­moda­tion for up to ..
Beach-house-mundesley.co.uk - BEACH HOUSE - Self cate­ring five star accom­moda­tion in ..
Betws-inn.co.uk - Betws Inn - lu­xury self cate­ring holi­day cot­ta­ge ..
Glendaloughsheringham.co.uk - Glen­da­lough Self Cate­ring Holi­day Accom­moda­tion in ..